There are times in business when success depends ultimately on the ability for a company to meet a single deadline! Can you pass on a big thank you to the guy who delivered the package on a bike to Iarnród Ēireann in Inchicore before 12 noon today. We are extremely grateful for the efforts he went to in order to get it into Irish Rail by 12. Also a big thank you to the person who dispatched the courier out to us so quickly. Secretary, Arup & Partners Ireland Ltd. 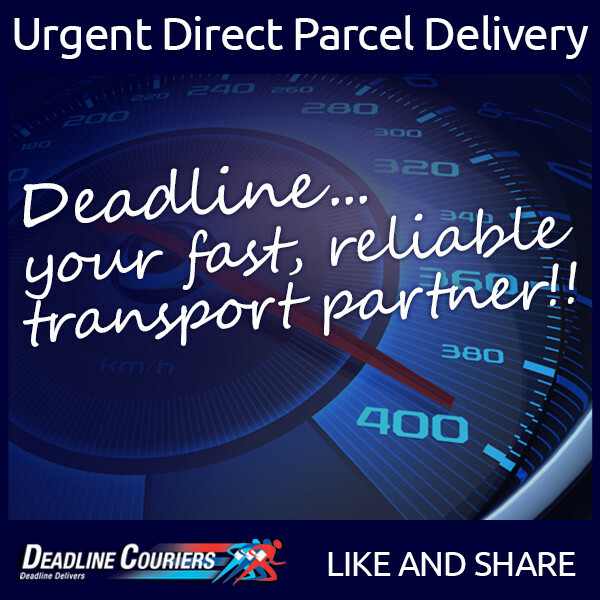 Both our drivers and our office team work in perfect tandem to ensure even the tightest deadline is met. Using our state-of-the-art Online Booking System, Deadline’s office staff can allocate the closest driver to the pick-up point within seconds of receiving the booking. From pick-up to drop-off, every step of the delivery process can be tracked and traced through the system. Digital signatures are taken from sender and recipient for every job, and then added to our invoices. 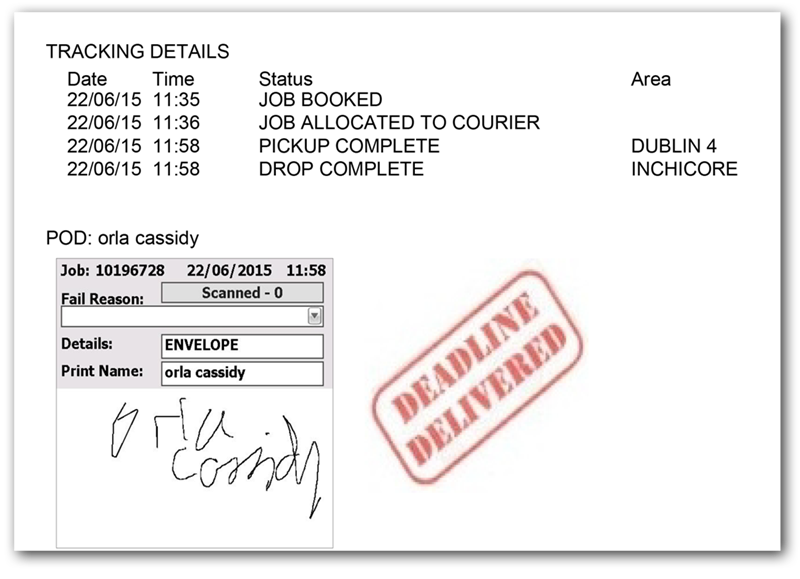 It is all in a day’s work for Deadline’s Couriers. 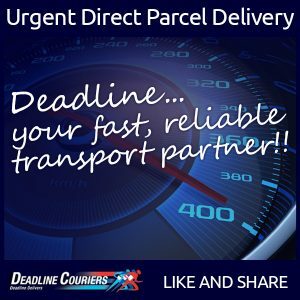 But we are not JUST your reliable courier and urgent direct courier partner, we can also handle all your Ireland Nationwide deliveries with our fleet of Vans and Trucks with regular and express services, door to door, next day and guaranteed times. Furthermore, we can also handle all your Worldwide International deliveries, UK, USA, Europe and literally any continent and any country.